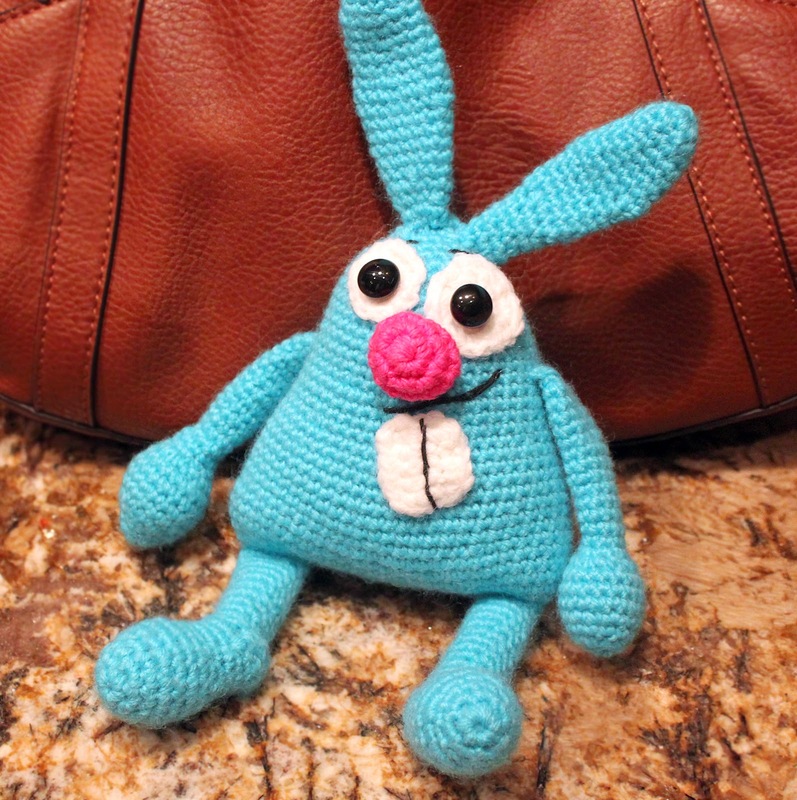 I'm getting a late start on Easter bunnies - I'm blaming Craftcation, not procrastination - but the first one is finished and in his new home. Such a goofy little guy. 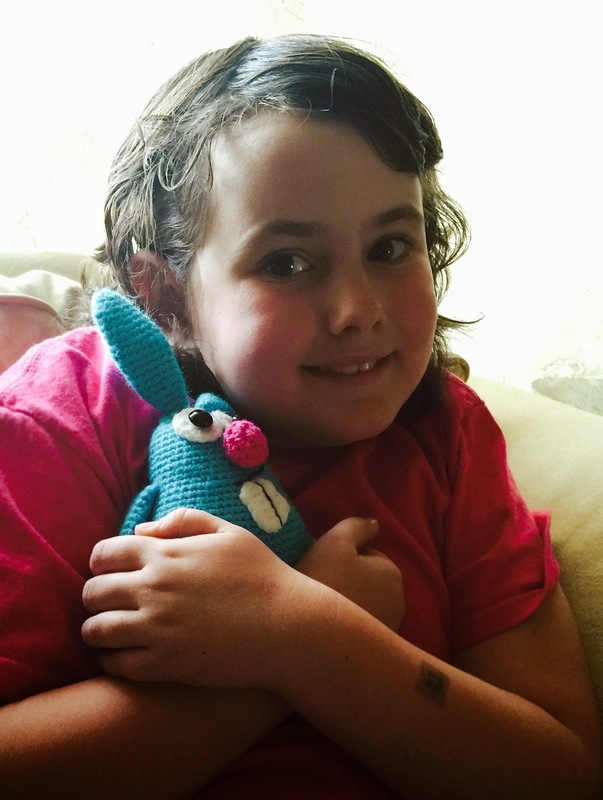 The pattern - Bunny Caprice by Kristi Randmaa - is well written and easy to follow. 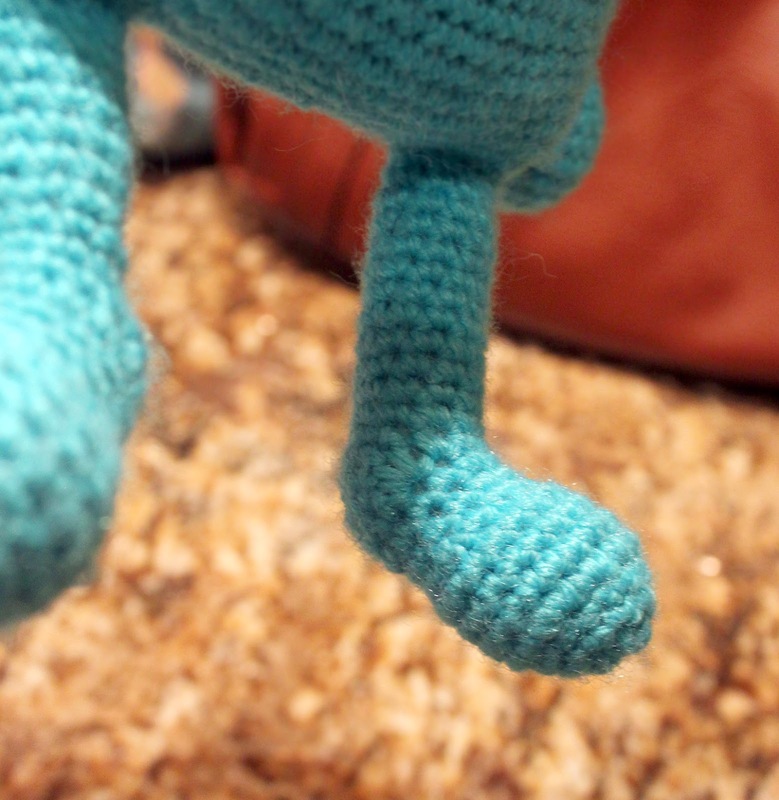 I especially love his shapely little feet - such a clever way to crochet them. 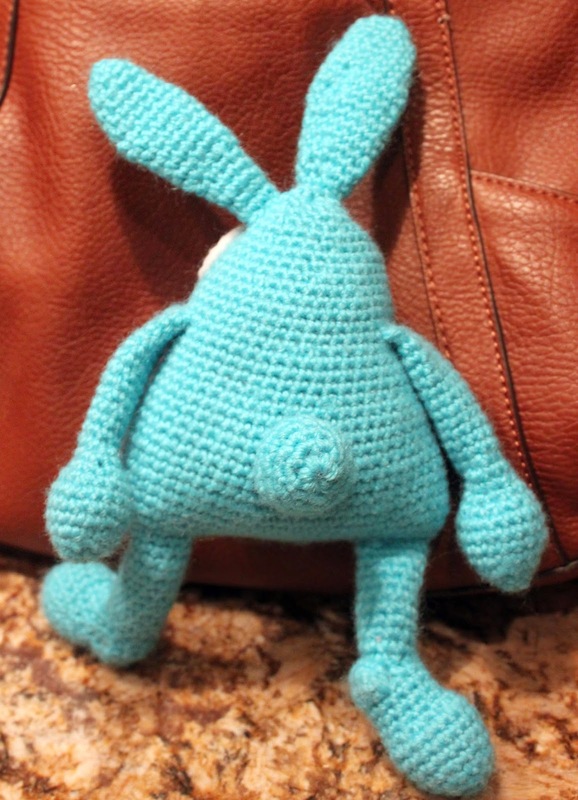 I also love that the feet and arms are attached as you work, not sewn on later. Sewing up is not my favorite thing . . . . I need to work on my embroidery skills (the smile and eyebrows), or maybe just leave them off altogether. I think Bubbles is cute enough without them. And it will make the next two - that I need to have finished in less than 5 days - go even faster.